Disintegrating from the dark side? Never heard of such thing. The only unnatural change we have seen in the movies so far are the yellow Sith eyes. Other changes are due to physical injuries or force lightning in Palpatine's case which had nothing to do with the dark side consuming the evil Sith Lord. Adam Driver looks very menacing and scary when yelling. Is enraged Adam Suckler from Girls disintegrated from the dark side? @AhsokaTano Revan is a character from the EU. The EU is not a canon any more. He has been wearing a mask for how many years straight so no wonder he looks too pale and unhealthy for now. The same people who were waiting for him to get bald, lose an eye and have an ugly scar are now probably waiting for him to change but as it didn't happen before it won't happen in the IX as well. He looks perfectly fine when we see him the last and he will stay that way. He is not turning into Snoke. but imo that "evil=ugly" narrative needs to go away. I don't think he is really using or harnessing the dark side like Palpatine or some other Sith did (he isn't as Sith, we know that). He is angry and broken but never focused enough to use it for his advantage - I think that's what distinguish him from a real darksider...his anger doesn't make him stronger...it makes him weaker! He is so out of it he doesn't even noticed that his uncle is a projection and he should have! Maybe it's this shot? It's the lighting, he looks better when his face is illuminated. @Moonlight13 wrote: Maybe it's this shot? It's the lighting, he looks better when his face is illuminated. I saw nothing unusual on that shot either. I think his scar looks darker in this shot. It's the only thing I could think of that could make them believe that he's disintegrating or something. it's funny I just realized that his paleness could also be related to him actually being so afraid of Luke that he got hit by an adrenaline. He was so terrified that it actually took the color from his face? Who knows maybe for him facing Luke 1:1 was even braver then killing Snoke. It's because the lightning. 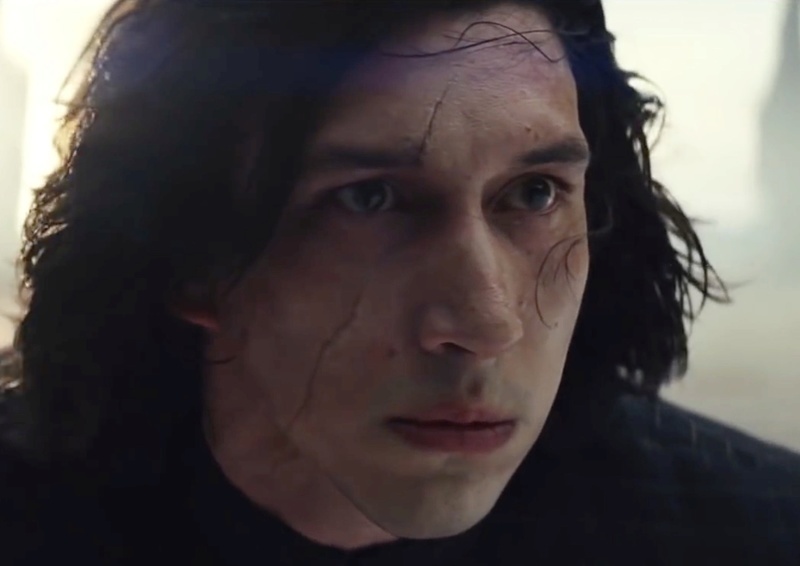 All other shots in the movie with Kylo are from much darker backgrounds where scar is not prominent the way it is in the light of Crait. No disintegrations - only fanboys wishful thinking. Pablo Hidalgo and he should know ! @special_cases I love Leia's expression in this...like, "yes, I am matching them...you know I am." Hey, that's what she's thinking in the journal novelization of this scene. @Night Huntress wrote: it would make no sense for me to make him wear that stupid mask again...it would be a step back from his character development. He is Supreme Leader now, why hide behind a mask? Don't say they won't do it- anything is possible... but I personally would hate it. 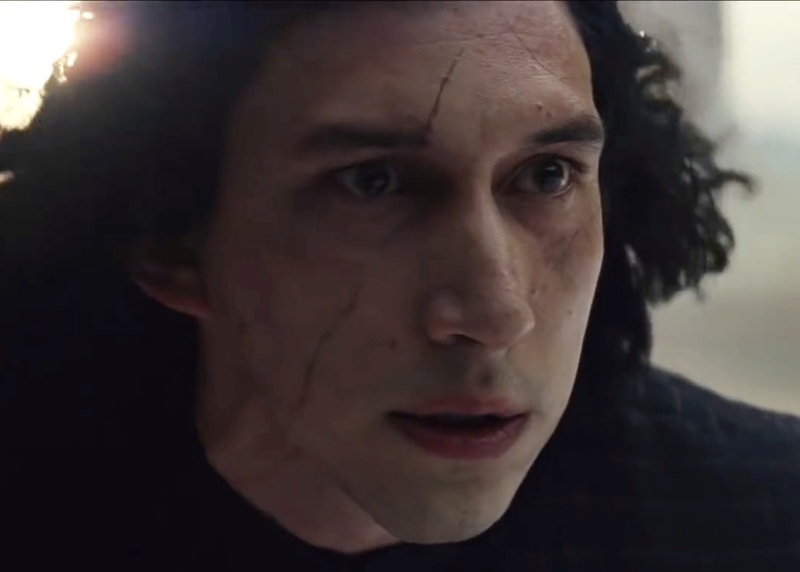 The bolded: I strongly hope that others will use the mask and as I was writing earlier, I also hope that he/she/they will continue to act as "Kylo Ren" after the real Kylo has defected or escaped a coup. Remember the trailers for TFA never showed Rey with the lightsaber. I imagine the trailers for IX can show the menacing "Kylo Ren" back in full costume, acting like he did on Jakku or worse. This way people will say, yes he is the big bad, we knew it. Yeah, it was Harloff and a few Collider people, plus some Den of Nerds people who actually want Reylo but also evil power hungry Renperor before Rey turns him (I would prefer he have more agency to make his redemption arc more believable). I stopped listening to Jedi Council around that time. No one learned anything from TLJ. Back to making the ST even more simplistic than even the OT was. It's shocking how little credit the biggest SW fans give SW. I can't believe this is even taken seriously. And coming from Collider, no less. Like, come on. He looks incredibly pretty on Crait to me. Even when enraged there's this soft and lost boy quality about him, and Rian focuses on his eyes and highlights his youthfulness a lot in those scenes. His ears also looked cute in that Crait wind lol. Hux on the other hand looks quite vampiric because of the makeup, which is also specifically designed to age him. The difference between those two characters could not be clearer. Also did anyone think that the part in Hux's hair is shaped like the giant canyon-like scar on Snoke's head or am I seeing things? I think that they are probably referring to that shot. But notice the non-scarred side of his face is completely. When Palpatine got messed up, his whole face went. I think all those veins indicate that he is an extremely stressful state. And again, all of that goes away when he is kneeling. Even the red on his neck is gone. And when you look at the Girls shot, Adam's neck is as red as hell. That's Adam becoming the character so much that he is having a physiological reaction. I totally agree , he prefers her when she's a bad a**!!! My favorite description of Hux (and I wish I could remember who wrote it) is that he spends the entire movie looking like he's coming down off a coke bender. 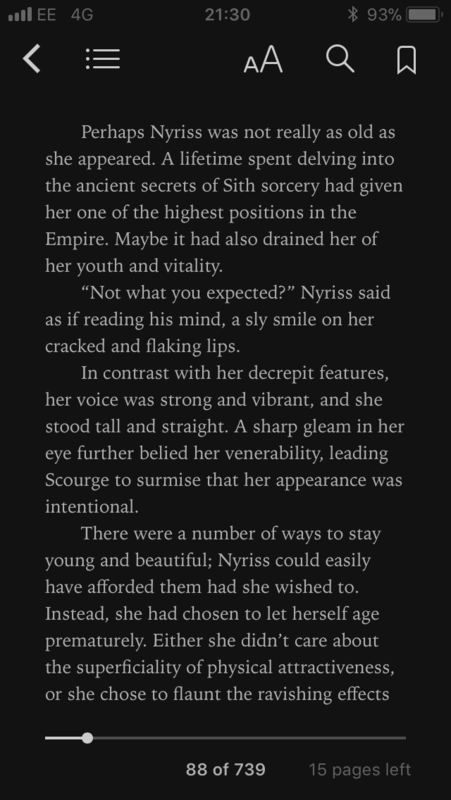 Also it flew past me earlier today and I can't find it, but the mention of Maz's "Somebody who still could" line paying off in TLJ is first and foremost Rey's appearance on Ache-to on behalf of Leia setting off the kick in the pants which forces Luke off of lonely hermit island to face up to what he did and make amends. It does also start Ben's arc (for good or bad, fingers crossed) to get out from underneath Snoke's control. And sets up the confrontation/resolution of what happened between Luke and Ben. And that's similar to TFA, she doesn't do the heavy lifting or emotional labor for the characters around her (unfortunately all men, so god please let her and Rose get time together in IX), but acts as a catalyst. Meeting Rey forces both Han and Luke to confront the difficult situation and emotional fallout from what happened in their family and respective responsibilities as a father and uncle/brother. With Finn, she at least starts him on the path of wanting to run away and hide out of self-protection to caring about/looking out for other people. He's not there yet and it takes meeting Rose for him to finally step up, but at least with Rey he's forced to confront the thing/fears he's running away from and shows courage. Hey, I was organizing my books and I started looking at the TLJ Visual Dictionary. I hadn't really looked at it after TLJ, but there is some interesting stuff there that I don't think anyone has mentioned so far. One interesting thing that I have come across so far is that the younger members of the FO officer corps are people who were raised in the FO by birth and indoctrinated their entire lives. Further, a bunch of these young officers are "subadults" (I guess SW words for tweens and teens) who are too young for combat. It's on page 33. Yet another example of massive brainwashing/mental manipulation of the post- Galactic War generation with Kylo being the poster boy, (even more than Finn IMO, because Finn broke programming really easily unlike Snoke's influence on Kylo), for them. The Empire (FO) needs children indeed. @SoloSideCousin wrote: Hey, I was organizing my books and I started looking at the TLJ Visual Dictionary. I hadn't really looked at it after TLJ, but there is some interesting stuff there that I don't think anyone has mentioned so far. Yeah, I agree. The Visual dictionary is pretty much informative. 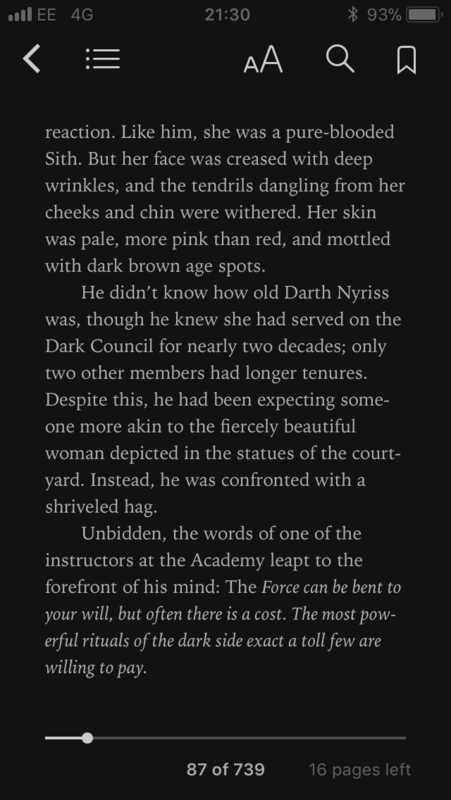 Despite Pablo's usual generic SW vocabulary (aka power hungry Kylo - which I still don't get completely - as I saw very little of it in the movies (unlike in Anakin/Vader's case). All these proposal speech to Rey comes across more like Kylo wishing to change something fundamentally rather than to rule for the sake of ruling. 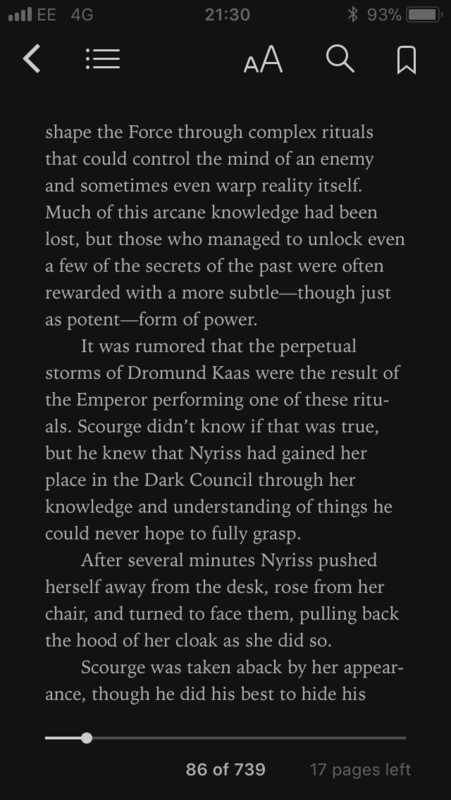 The stuff that made me intrigued the most - is the page dedicated to Hux. He's described as an ultimate dirty player and a backstabber, even having the professional assassin among his stuff. If it's not a foreshadowing I don't what is it. 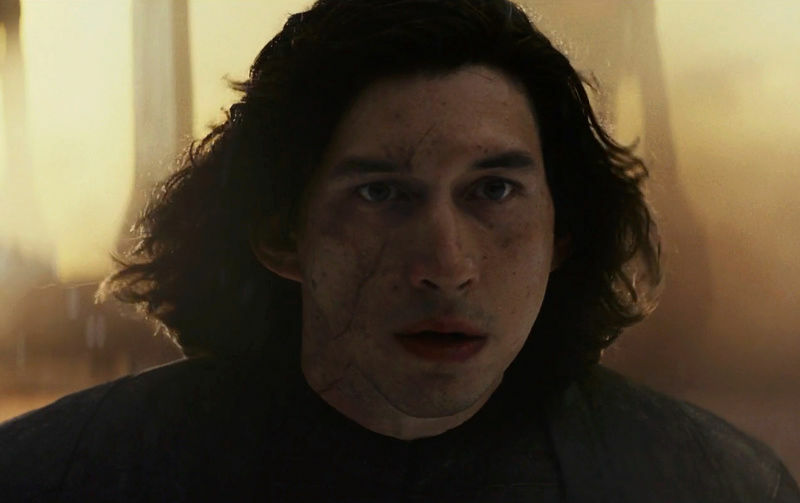 If Kylo's appearance in the end was meant to signify transition to the dark side, it would be as subtle as Harvey Dent in The Dark Knight, lol.